The Marin Retriever Club was established in 1974 by a cross-section of retriever owners who felt there was a need for a multi-purpose Retriever Club. The objects’ of the Club are to promote the training of purebred retrievers; to conduct field training sessions for the training of retriever breeds and their handlers; to encourage the training of judges; to encourage and cooperate with individuals and other groups with similar purposes; to hold and support Hunting Retriever Tests; exhibitions and matches under the rules and regulations of the American Kennel Club; and to promote cooperation and good sportsmanship among its members in the training and exhibition of retriever breeds. 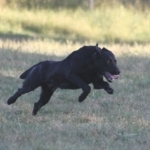 Our members have retrievers representing different levels of Hunting, Field, Obedience and Show Competition. The Retriever breeds are the Chesapeake Retriever; Curly Coated Retriever; Flat Coat Retriever; Golden Retriever; Labrador Retriever; Irish Water Spaniel, the Standard Poodle, the Nova Scotia Duck Tolling Retriever. In August 2011 the AKC has added many more breeds to this list! We welcome American Water Spaniels, Wirehaired Pointing Griffon, Spinone Italiano, German Wirehaired Pointers, German Shorthaired Pointers, Weimeraners, and Vizlas to our sport!